Cuisine has a big collection of exciting features that you will find extremely useful for your food business. 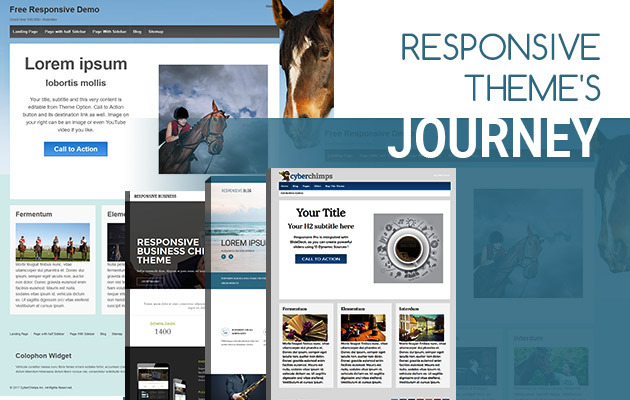 The modern, 100% responsive and mobile ready theme can present your fantastic endeavor in a dazzling and powerful style that will appeal customers like a charm. Let’s see what are the cool and exclusive features in Cuisine. 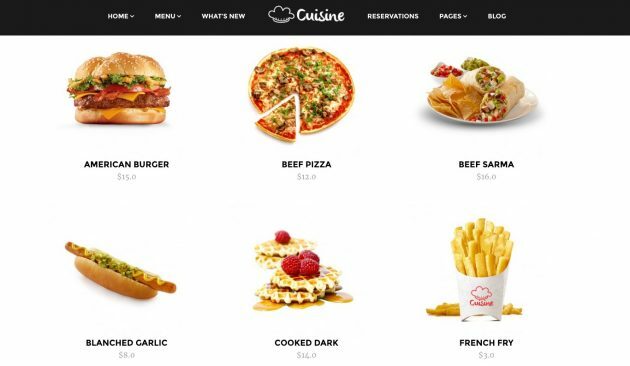 Cuisine uses the worldwide popular front-end framework Bootstrap 3. It ensures that you get a fully responsive and mobile-ready website which perfectly fits any screen size. Besides, you can get a more customized look and feel using the available tweaking options. Bootstrap makes it so easy. Bootstrap’s grid based structure makes the total package flexible and natively compatible on all platforms. 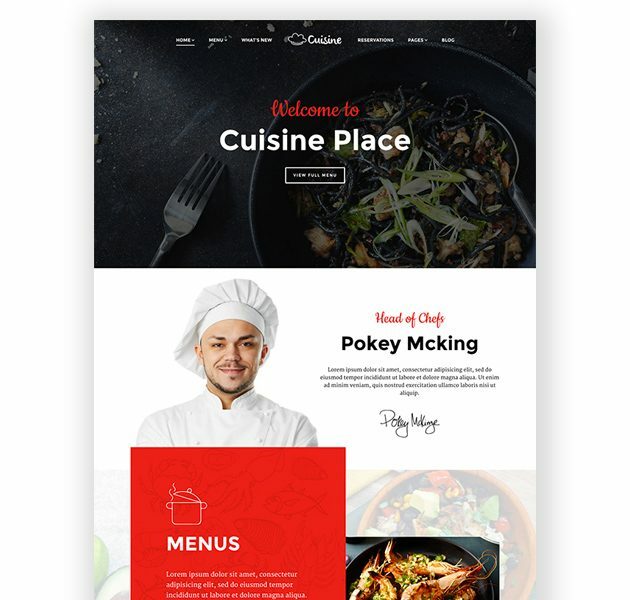 Cuisine gets three homepage variations to fit your unique ideas and web design preferences. The first one is by default shown on the Cuisine demo. It has a slider on the top which can show your stunning items one by one. Other elements on this page include a chef section, special dishes, feature boxes, email newsletter subscription form etc. If you want a different section on the top, other than a slider, the second homepage variation meets that requirement. It has a big top feature section with a reservation form, so your visitors could order foods as soon as they land on your site. This variation focuses on the core restaurant products through the homepage. You can definitely re-arrange these elements anytime. The third homepage variation sports a slider with a different design and various transition effects. If you feel that the default home variation is a bit mainstream, you may find something different in the third one. This variation demonstrates just how would your site look if the homepage shows a fewer amount of contents and just brings the most popular items in the limelight. 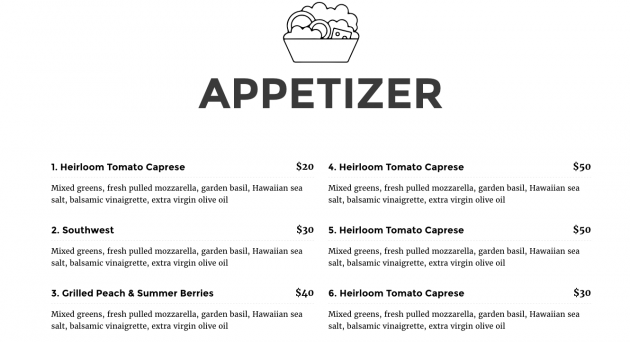 The top menu bar is the primary way to navigate around your restaurant site. We understand its importance, and that’s why we’ve provided 3 menu variations. The default menu layout presents the website logo at the center of the navigation bar. In case you want a traditional menu design with the logo on the left side, we have given that too. Just choose the second or third menu variation. There is a slight difference between the last two menu designs. The third one has a social bar at the right where you can put the links to your business’s social networking profiles. Cuisine provides options to choose a header and top bar (above the header) from alternative ones. The theme has two header and two top bar variations. These variations differ in transparency. 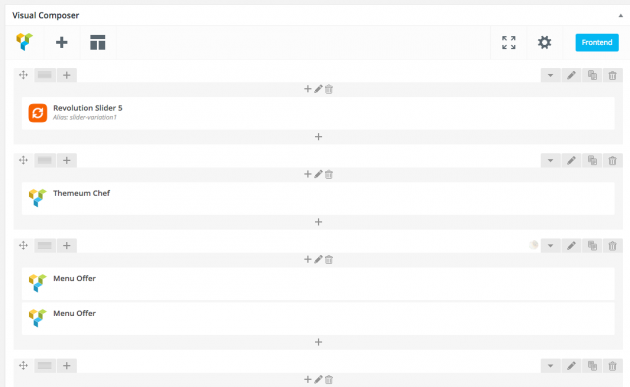 You can select a transparent or a solid header/topbar for your site. Here is the transparent header and top bar. This is the solid top bar and header design. 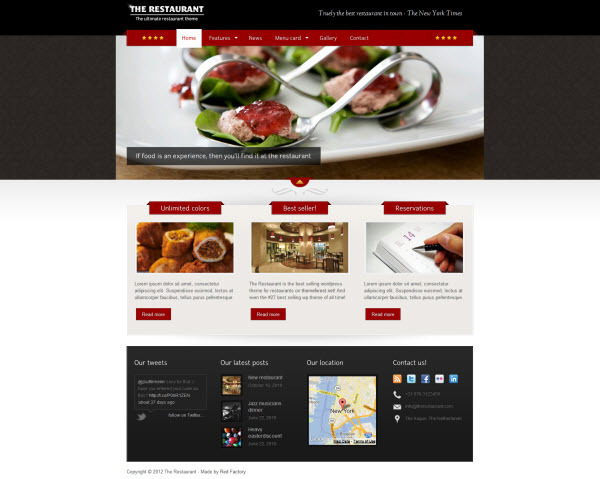 You can organize your restaurant site built with Cuisine in practically unlimited ways. The theme can tweak your site’s appearance with countless aesthetics. We’ve provided 4 preset colors for your convenience. You can also set a custom color scheme. 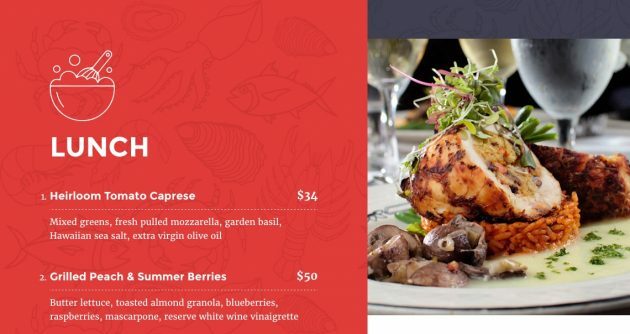 Make thoughtful combinations of all of these design elements to tailor your dream restaurant site. With Cuisine, you can display your restaurant menus in two styles. We’ve built a modern view for dishes which presents your delicious food items in a mouth watering look. The view is extremely rich and appealing that can boost sales. If you want to add some classic touch for some specific items, we have a dedicated classic menu presentation shortcode for that too. So there is absolutely no limitation in choices. 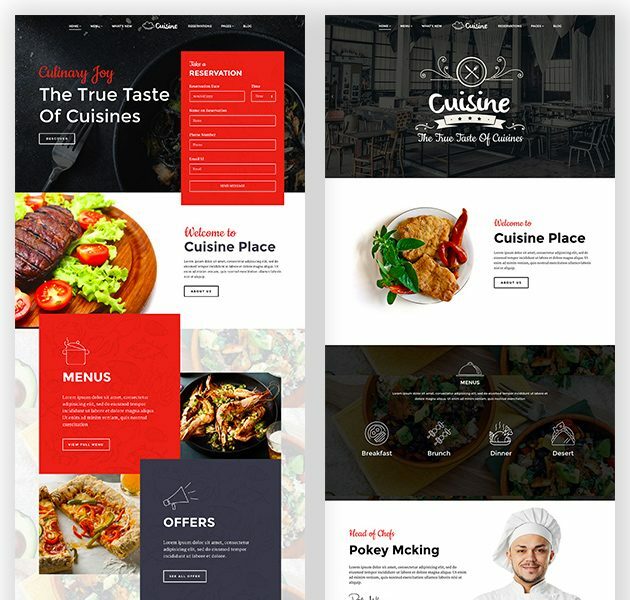 With Cuisine, we provide the widely popular drag-and-drop WordPress page builder Visual Composer pre-packaged. Visual Composer is a premium plugin priced $34, but when you buy Cuisine, you get VC for free. The plugin enables you to build a complete site without having any coding knowledge. It supports both frontend and backend editing functions, so you can use whichever you feel convenient. 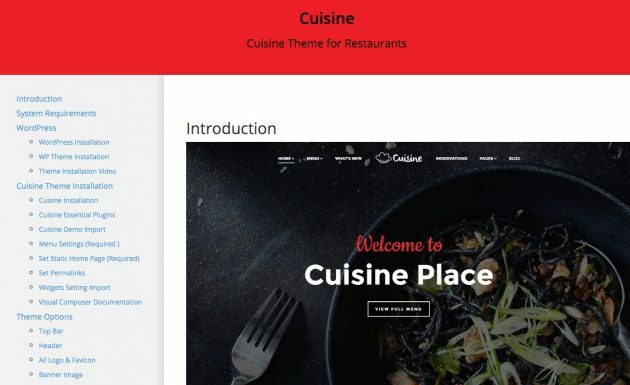 Cuisine makes the site building process even easier with custom Visual Composer shortcodes/elements. For this theme, we’ve built 11 custom VC shortcodes instead of custom post types to add recipes, chefs and other contents to the site. This significantly lessens your time to make the site ready with contents. 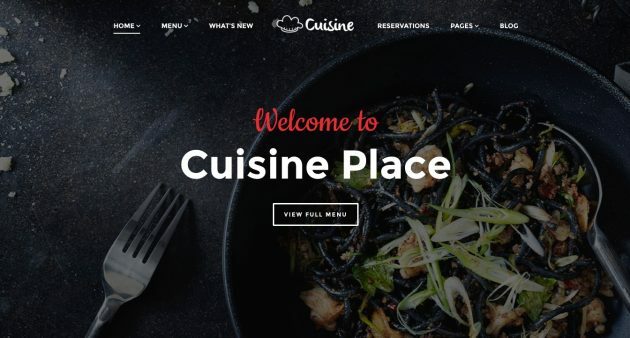 With tons of innovative theme options, Cuisine remains the unparalleled cafe/restaurant theme for WordPress. 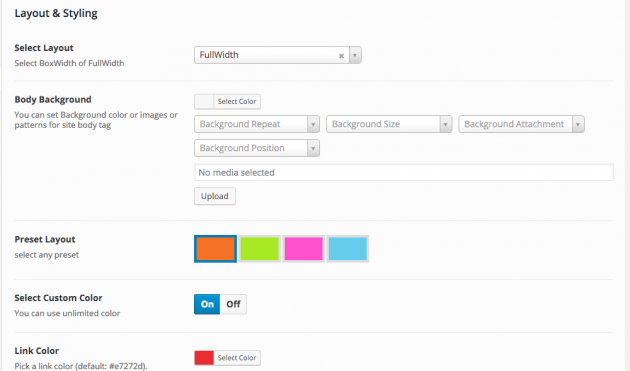 The Theme Options dashboard offers a complete set of tools and configurations for fine tuning your site. Select a built-in color scheme or choose a custom color for site elements, add a website logo, change the typography style and do much more just in minutes! Theme settings export/import option is also available. We’ve developed a one-click demo importer for Cuisine to shorten your development time. It’s a nice idea to have a look on the demo site made with the theme. It can offer a quick overview on how nicely one can organize their site with a particular theme. 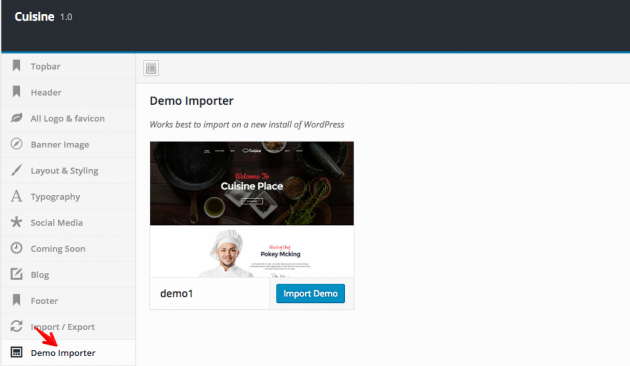 We’ve made the process of importing the demo contents of Cuisine very easy. You can just get all the demo contents live on your test-ground site in minutes. Using a slider on the top of the site is a popular trend. Slider Revolution (or Revslider) is very famous for this purpose. This plugin costs $19 when purchased separately, but we provide it for free with Cuisine as a pre-packaged item. Create stunning sliders and present your dishes on the site’s first focal point and attract more customers. Cuisine supports multiple languages on a website. If you cover multi-national customers, it’s important to offer localized versions to each of them. Cuisine is translation ready, so you can use it in many other languages than English. 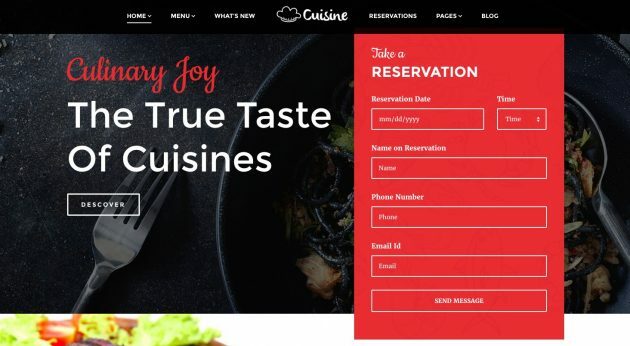 The theme perfectly supports popular WordPress translation plugin WPML, which you can easily use to deliver multiple languages on your restaurant site. 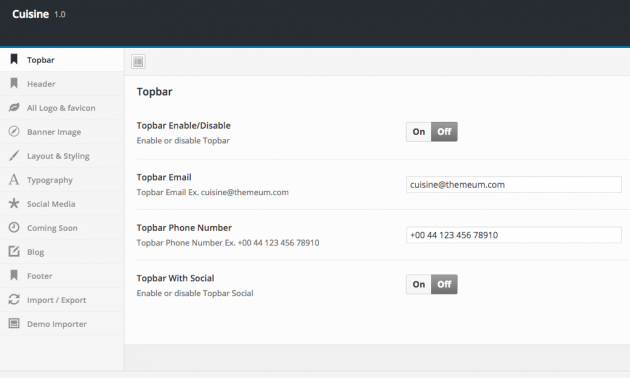 Collecting user feedback and accepting food orders/reservations made easy using Contact Form 7 in Cuisine. The popular form plugin is integrated with the theme so you can enjoy its benefits in easily getting customer reactions and pre-orders for foods. Do you sell on-site? It requires having a web store and payment collection/checkout mechanism on board. That’s why we’ve made the theme compatible with WooCommerce, the prominent eCommerce plugin for WordPress. Use this facility without any hassle. Email is a powerful medium to communicate with the customers. It can create a new customer base and helps to retain existing ones. 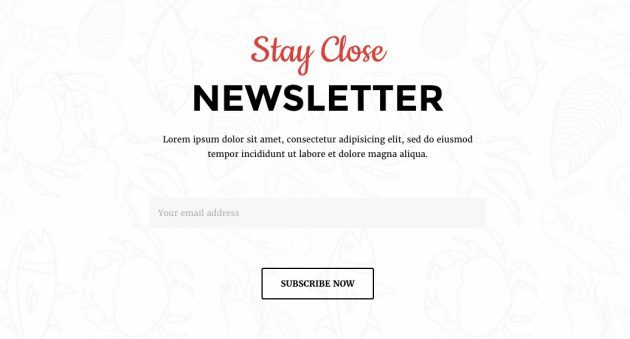 Cuisine treats MailChimp email newsletter plugin as a required element with our custom subscription form availability. All of the gems you need in one place! We provide 6 months technical support for each premium theme. So as a Cuisine user, you will also get the same benefit. Plus we have extensive documentations and video tutorials on how to use the theme on your production site effectively to get the most out of it. We’ve built Cuisine with such a view in mind that it can fully fit your requirements and present your business in an extraordinary manner. The theme is priced at only $59. It comes with two premium plugins (Visual Composer and Slider Revolution) where you save $53 instantly ($34 + $19). Purchase Cuisine or view demo here.